If you're a whisky drinker chances are you've heard of the legend behind the Glenfiddich Snow Phoenix. If you haven't I suggest you nerd up real quick. In 2010 Scotland experienced some insanely heavy snowfall. In fact there was twice as much snow to fall than previously ever recorded. Now living here in Dubai that might sound like a dream vacation but for the Glenfiddich warehouses it was a disaster (or opportunity - depends how you see it). For so much snow fell on those tin roofs that five of them collapsed in a massive heap on top of more than 250,000 casks maturing below. How they managed to save all but three casks from instantly getting 'chill-filtered' is beyond me. But they did. And when summer rolled around they set about repairing the damage. Now there's no point in experiencing a disaster and not being able to commemorate it, right? Well, that's exactly what the marketing department felt and thought it would be a good idea to release a one-off special bottling to mark the occasion Mother Nature decided to give you a snowy hiding. The presentation tin box is adorned with the image of the aftermath and, hence, the name. For within the fallen beams and the bright Scotland winter sky is the silhouette of a phoenix rising up to the heavens. I must admit I would never have been able to see it my self but you'll be surprised what a marketing degree and a tab of LSD can do. You might be forgiven for thinking I'm being sarcastic but that's how I show gratitude. Marketing gimmicks aside this is one fine whisky. Because to commemorate the event 12000 bottles of the exposed spirit was released in a beautiful black bottle and presentation case. Finish: Extremely long. Creamy. Vanilla. And, of couse, floral. Overall Comments: I had this at a tasting with a close friend who insisted it didn't taste as good as when he had it at his place and insisted I try it at his place before forming an opinion. I'm still waiting for my invite. In the mean time I will go ahead and post this. If you stay tuned you might see me post a modified review soon! @OIJas thanks for pointing out the cask strength point. The material out there is quite vague regarding that. Seems like an odd strength to bring down a whisky to. I figured some of the older casks of lower ABV might have brought it down. I never paid much attention to this one, but your comment on the LSD prodded me to look up a picture of the box. That's pretty cool, actually. Can you tell whether it's just a cleverly shot picture that produced the bird shape, or is it photoshopped? @MaltActivist, thanks for joining in, and for your kind words. Yes, I would very much characterize Glenfiddich Snow Phoenix as having classic Glenfiddich flavours, only with a very deep wood influence. I would describe it as being like a cross of the 18 yo and the 21 yo, only with even deeper wood. Natural caramel/toffee/butterscotch was most certainly present among the wood flavours, and that wood sweetness became very strong after the bottle had been opened about 8 months. In the first couple of months when the bottle was opened I would describe Snow Phoenix as being like a more deeply wood-toned and slightly sweeter Glenfiddich 18 yo. @Victor - great review, as always. Would you characterize this as having classic Glenfiddich flavors? Did you find any toffee/butterscotch/natural caramel flavors? I find those to be a signature Glenfiddich profile. A very collectable and very pleasant dram created by inclement weather and quick thinking. Severe snow storms caused the roof of a Glenfiddich warehouse to collapse. The surviving casks were pulled together to create the no age statement Snow Phoenix. Nose: very fresh, caramel, fruity banana is prominent, also floral notes and spices a beautiful summer dram. With water a little richer, a buttery note really comes through, but drowns out the complexity of the nose. Finish: medium in length some citrus and spice hangs around. With water quite dry, fruit returns , quite a noticeable peach note actually, lovely clean feel. Overall: its a good whisky, great in summer or mid afternoon and one of the few single malts i enjoy with a rock. its not great or amazing but i like it, and if it was common id always have a bottle. Fanatastic addition to anyones collection and without doubt a collectors must have. I am sure you remember the story behind this Phoenix. In a nutshell: in january 2010 the roof of several warehouses collapsed and the distillery crew swears they saw the shape of a bird in the light that fell through the damaged roof. Reality dictates, of course, that Scots will not let anything go to waste and used this accident to their advantage, creating a whisky with both sherry and bourbon casks in the mix, aged from 13 to 30 year old. A good story, that more than likely gave the guy at the marketing department that came up with this idea, a fat bonus. But is the whisky any good? It is certainly an interesting nose. Vanilla, apples, pears, a hint of smoke and sherry. Round and fruity, although it does appear young. Of course, that does not have to be a bad thing. Some Mon Chérie bonbons, both the liqueur and the chocolate, and marzipan. After a few moments, lemon grass, violets and oranges emerge. It is oily, mouth coating and sweet on ripe apples and apricots, honey, candid sugar and again the hint of smoke. Rather spicy, too. Midpalate, vanilla and caramel take the lead. Very decent malt. On the finish, the sherry pipes up, supported by spices, and fades in a drying fashion. This is definitely a good whisky, but somewhat overhyped. It is a good story, surely, which makes this whisky an object of affection for many collectors. In the meantime, this limited edition is long gone, but via auctions you can still get your hands on it. Be prepared to cough up double of the initial price tag of 60 quid, though. For those not familiar with the back story, cynically known as 'marketing froth', this whisky emerged from the frosty demise of a Glenfiddich warehouse in early 2010. To commemorate this hoary happenstance, Malt Master Brian Kinsman decided to vat some of the orphaned ex-bourbon and ex-oloroso casks, ranging from 13-30 years old, into a non-chillfiltered, higher ABV delight. Nose: intense pear, grape and apple. Crisp, with oak and tannic spice, malt and honey, vanilla, and some grassiness. Palate: rich and mouth coating. Sweet with tart fruit elements - honey, pear, apple, and vanilla. Simple, but done very well. Finish: oak tannins take over, with lingering sweetness and spiciness and the wraith-like vestiges of apple. A fantastic whisky that soars above the marketing froth undergirding it. One of my wife's and my favorite whiskies. Drank it on our honeymoon and it was actually her big introduction into whisky. She bought me a bottle for xmas of last year and my brother bought me 2 more bottles to pay back a debt hahaha! You are one lucky guy! At first I was not aware that the LCBO even carried this expression because it was not listed under 'Glenfiddich'. Bizarrely, they listed it only as 'Snow Phoenix'. But I nevertheless found a bottle and by the time I realized how good this really was there were no more left in Ontario. Extremely light in colour, sauvignon blanc in colour. First sniff is fruity cherry. No sign of sweetness on this model. Touch of pear. First taste is very complex, starting very mild and a touch dry and smoky moving to a very rich fresh brassy and metallic flavour. Today my daughter and I did a sleepover at my parents, which was a blast - highlight being cracking open the Snow Phoenix I had bought my father for Christmas (my mom wouldn't let him open it until I was there, lest he guzzle half the bottle in one sitting). Even my mom loved it. A clear golden colour, like sunlight, it has a clean citrusy nose, very floral, with some pear. Malty with some hay in the background - very clean. A creamy palate, with more pronounced lemon notes. Honey and more pear. The hay on the nose becomes straw in the mouth. Long, lingering but fresh finish - a crip, perfectly balanced dram. While I am no expert on the Glenfiddich range, I found this to be very nice, light, perfect for the Saturday afternoon that my parents and I sipped it while my daughter played with her cousin upstairs. That it coincided with the day I booked my Speyside Whisky Festival tickets made it that much more prescient. Though I am not a fan of Glenfiddich in general I do enjoy this malt. I feel Snow Phoenix offers a lot of balance compared to the regular line that seem to fit into stereotypical flavor categories: 12 - very light & unoffensive fruit, 15 - over-sweet candy, 18 - woody, 21 - sugar syrup. Snow Phoenix has all the core Glenfiddich flavors but allows me to get them in a nuanced fashion. Still not sure it it's worth the price I paid though. Sounds great. I got me some today as well and look forward to tasting it real soon. It's hard for me to review this whisky because it's one of my favorites and it's one of those for a few good reasons. First reason is that it's a dram good whisky. Second this was the whisky to which I first introduced my wife to the awesome world of whiskies. On our honeymoon in Melbourne we decided to go to the whisky bar, there we enjoyed quite a few different whiskies and discussed them and tried to tear them apart...until we came to Glenfiddich Snow Phoenix. Wow, just wow. My wife's eyes lit up and she just went "That's good!" I gotta be honest I agree. The smell: It's sweet and fruity. I get honey, apples, pears and vanilla. It's an extremely enjoyable smell for me. One that promises that the taste is going to be just as good if not better. Taste: It's quite a sweet whisky for me with notes of oak, honey, vanilla and quite strongly for me, apples coming through. It does taste to me like it's quite a sugary whisky. The finish of the whisky leaves me with the flavors of apples and oak in my mouth with a pleasant aftertaste. This is a limited run whisky which is only produced in 2010. Which for me is such a pity because I do enjoy it so much. It's a great whisky to sip on a cold evening or after dinner. The problem is due to the scarcity it can run upwards of over $400 dollars a bottle in Australia. My wife paid roughly $200 AUS for ours which due to how much we enjoy it (she is currently finishing the review glass) is quite worthwhile. However for many if not most whisky drinkers I believe they would say it overpriced. If you got $200 dollars to blow and nothing else is catching your fancy, give it a shot. However realistically this would probably be an $80 to $100 bottle. I hope you enjoyed my review and found it informative. If you have any questions please don't hesitate to ask! @Fastpoose I've seen them sell for $700+ per bottle on ebay over here. When my wife and I went looking for a bottle after our honeymoon the only ones over here in AUS we could find were on ebay and we werent willing to pay those prices. We've had to ship all our bottles in from the UK to get an anywhere sane price. @Ryan502 Mate you gotta understand that when you live in the US since it's such a huge market that good whiskies aren't too hard to come by, especially for reasonable prices over there. Over there a bottle of Knob Creek was going for around $40 bucks when I left the US. It's a good bottle, but by no means the best bourbon ever. Over here IF you can find it (and I've only found 1 store that sells it) it'll run you around $100 bucks. The problem is over here the market is smaller so we get less of the good stuff. The good stuff we get runs quite abit more then it would in the US. The good part is minimum wage over here sits at around $15 bucks so it's not quite like buying a $200 bottle in the states. yo squidgy, I actually think it has been much easier here in Australia to get very rare bottlings for good prices. Here's a few examples lately. 2x snow phoenix at $100 each 6mnths ago, and I could have bought up to 15 odd within 30 kms of my house (and would of if I'd have known what I could get for them now..although that bubble seems burstable). 5x port ellen 25 year old bottled 1983 the year of closing, got these for $150 aus each less than a year ago. 2x littlemill 16 year old at $75, distillery has closed, got these only a couple of weeks ago. 2x Old Hebridian sheep dip, sold out around the world, got these less than a week or two ago. So just keep your eyes peeled, especially at your Dan Murphys stores in perth, and there are many rare whisky's you'll be able to find. There is a saying that goes “If life hands you lemons, Make Lemonade”. this sums up really good what Glenfiddich just did! First the story: The winter of 2009 was really hard, and a lot of snow fell down. On Thursday Jan 7th , in the most remote part of the snow covered distillery, some of the warehouse roofs collapsed, ripped open by the sheer weight of snow, leaving maturing oak casks of Glenfiddich exposed to the winter sky. After some work done by the distillery men, the casks were all moved to a shelter. The distillery manager however,selected some casks from the damaged warehouse, from different ages (13-30) , different cask types (Sherry, Ex-Bourbon) to create a vatting that is unique. There are only about 10,000 Bottles which are selling like hot buns. So, How good is it , worth the hype? Nose : Apples pears is butter. Malt and honey some vanilla. A cookers delight. Palate: Oak , malt honey and some spice. Again quite buttery. Nuts and sugar as well as baked apples. Finish : malty nutty. Baked apples. 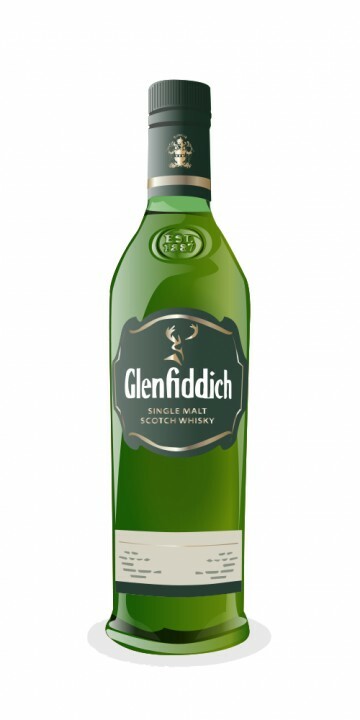 I am not a huge Glenfiddich fan, and i had high expectations from this bottle, as i heard it was good from more than one person… At first tasting i was a bit disappointed with it, but on second tasting, it appealed to me more, and i really began to enjoy it. It’s not a standard Glenfiddich, and it’s well made. However, the price is a bit steep (even though there are some older casks inside – up to 30 years). The packaging is interesting, and surly would look good on your shelf, that’s for sure. It’s very good, yet not great. I completely agree with this review and the scoring. I was invited to a Glenfiddich "Cask of Dreams" event in Seattle, WA in April 2011. For the first part of the event, they passed out samples of the 12, 15 and 18 year old vintages. I had previously tasted Glenfiddich 12 and was not impressed. This event was my first opportunity to taste the 15 and 18 year old. The 18 year old is pretty good and I enjoyed the 15 year the best of the three. Toward the end of the event, they started passing out samples of Snow Phoenix. I was very impressed with the nose, more so than the taste, but it is very drinkable. My wife especially liked it, so we purchased a bottle yesterday. I took it to a family poker night / scotch tasting last night. It was well recieved and everyone agreed it was better than a typical Glenfiddich and was an enjoyable dram. I don't think I would purchase it again due to the price ($95 US in WA state), but since it is a limited bottling and since it is so drinkable, it was worth a one-time purchase. Sounds like this would be to my liking. Is it still available? I cannot get mail order here in this province so I'll have to try my luck in North Dakota this weekend. Thanks for the review.